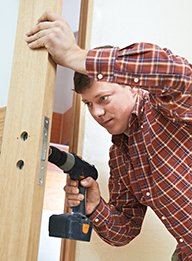 Do you need any sort of help with the installation of locks in your home? Well, there’s no need to worry. A1Locksmith is the most reputable residential, commercial and auto locksmith around. Simply put, with the help of our experts, any type of lock installation will seem like a piece of cake. This is because we have been in business for nearly three decades, giving us the experience, dedication, and passion needed to provide you with the best locksmith services. Consequently, we are regarded as one of the best locksmiths in Toronto, Ontario and surrounding area. we promise that you won’t be disappointed with our services. Check out our affordable rates with a free estimate!